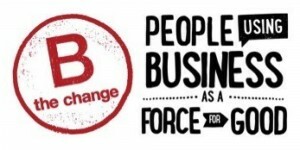 Collectively, B Corps aspire to be a growing global movement of people using business as a force for good. Individually, B Corps are for-profit companies certified to meet rigorous standards of social and environmental performance, accountability, and transparency. 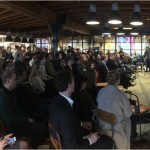 On January 22, I attended the B Corps Netherlands community event, hosted by Patagonia at their Amsterdam offices. The B Corps website places a lot of emphasis on the metrics and the assessment; there’s lots about accreditation by B Lab and requirements to becoming a B Corps. At the start of the meeting, B Lab Europe co-executive director Nathan Gilbert elaborated on the new impact assessment tool. And while it may be a huge improvement over earlier versions of the tool, this is not why people show up to community events. Energy evaporated from the crowd…. Fortunately, the next speakers and sessions brought the energy back. Ryan Gellert, General Manager Patagonia Europe shared a short and inspiring presentation about the history of Patagonia. After that, in two rounds of short interactive break-out sessions, everyone could get inspired and informed by B Corps like Tony’s Chocolonely, Fairphone and Patagonia. My colleagues Christophe Fauconnier and Moniek Tersmette shared Innate Motion‘s model for contributive design, which helps brands to unlock the conscious consumer in all of us. And to close the program, two aspiring B Corps (Webchair and On the Rocks) presented their way to be the change. With my background in corporate sustainability reporting and transparency, I was particularly inspired by Jill Dumain‘s talk. Patagonia’s global director of environmental strategy shared how they experimented with different levels of transparency, ranging from the corporate level to product level detail, and how these metrics proved to be useful (or not) internally and externally. She was brutally honest about how reporting on dilemmas and impacts can be scary, but that it’s been worth the risk for Patagonia. She also shared how transparency has helped a much broader group of Patagonia employees engage with others in the value chain and the industry to collaborate for positive change. The B Corp community event closed with networking drinks. My initial trepidation of too much focus on accreditation evaporated and turned into a celebration of inspiration! I left with several books to read and new connections to fuel my blog in the coming months!